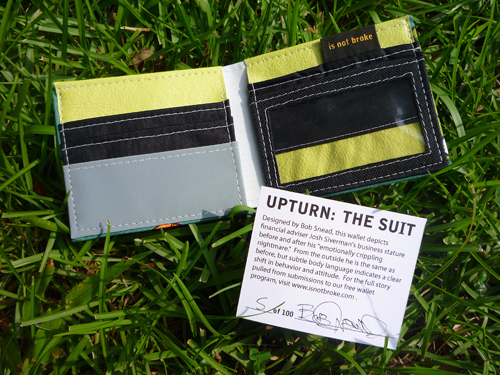 The » Upturn: The Suit wallet by The Is Not Broke Recession Proof Wallet Co. The Suit is the second in our ongoing Upturn series. The goal of each Upturn wallet is to depict with abstracted forms, patterns, or illustrations a story of survival which is hand picked from submissions to our free wallet program. Kids to feed, a mortgage, tuition. Like a needy, greedy fiend. Two business revisions lead to acclaim but no cash at all. Christmas is extra-bleak. Hanukkah is a non-event. Even the freezer conspired against us, and all the food we stored up like squirrels went bad. Two years later, we’re chipping away at it all. It’s better. And it all goes under the mattress. The irony is that every day I’m asked how to make a quick buck. I used to respond to that with a quick recommendation. Now I tell them there are no short-cuts, to be prudent, patient, and calm. I’m the oldest 37 year old I know working in finance. To say the experience was humbling would be accurate, but wouldn’t begin to touch it. 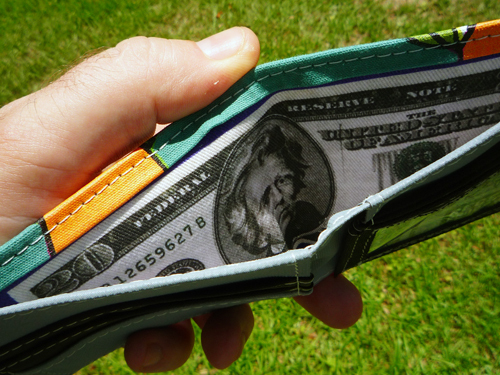 Relief from an emotionally crippling nightmare – can you make a wallet from that? 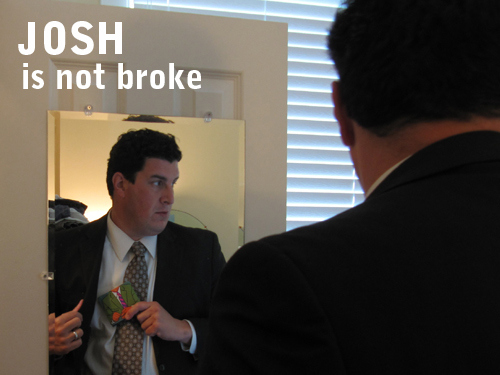 Josh’s final statement seemed like a call to arms, and so we felt compelled to depict the situation that many financial sector workers have seen over the past few years. Designed by Bob Snead, The Suit illustrates the before and after – a financial advisor being humbled by the experience of an economic meltdown. From the outside the suit and person are the same as before, but subtle body language indicates a clear shift in behavior and attitude. Each wallet is handmade in the USA with a hand printed exterior, 4 credit card slots, ID window slot, two hidden pockets (for your business cards), and twenty bucks printed in the bill slot. 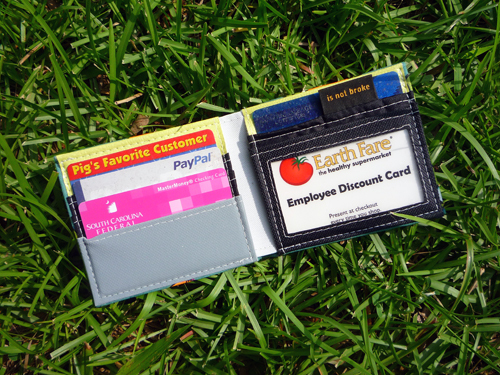 Full size of the wallet is 8.5”x3.5” and folded 4.25”x3.5”. Developed from a mix of durable canvas, vinyl, and nylon. Limited Edition of 100. 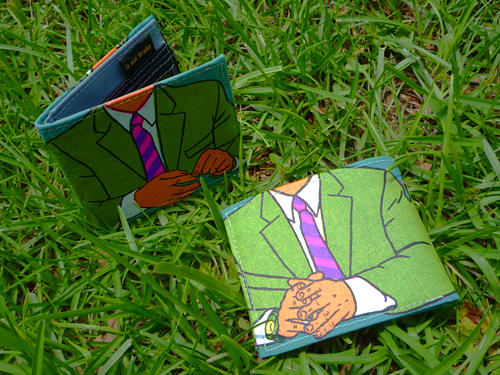 For each Upturn: The Suit wallet sold, we will make a donation to This American Life which has given us major insight into what caused the current recession with shows like The Giant Pool of Money, Bad Bank, and Inside Job.